Yesterday one of my favorite designers passed away. Daring, feminist, cheeky and parisienne to the tip of her fingernail (as you say in french), Sonia Rykiel created a fashion that resembled her. When I walk in Paris wearing my tight little striped sweater, I feel like I belong to her gang of women who can do whatever they wanna do, laugh or dance on the catwalk if they feel like it. So today, I want to dedicate a post to her iconic stripes! With black inside if you want to do to the classic Sonia. She once said that “black is a color because it makes every other color look colorful” or without! 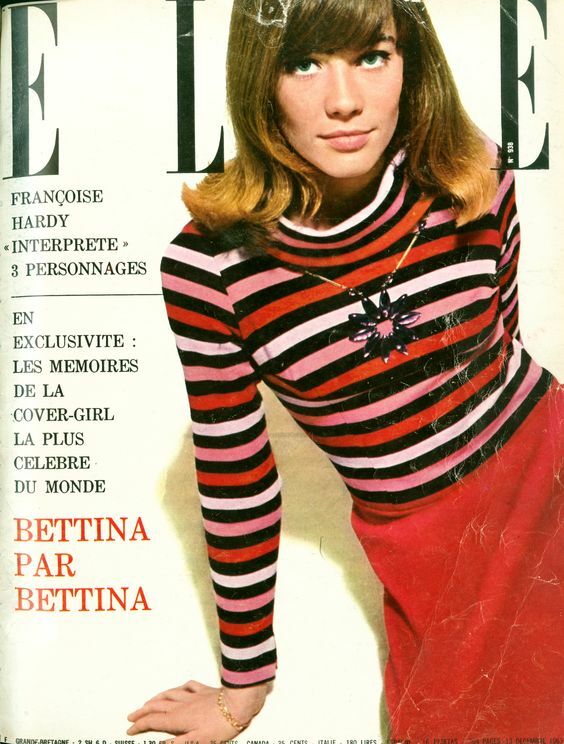 With a matching color like Françoise Hardy on this old Elle cover from the seventies. With a neutral color. On this picture taken by the sartorialist it is even matching. 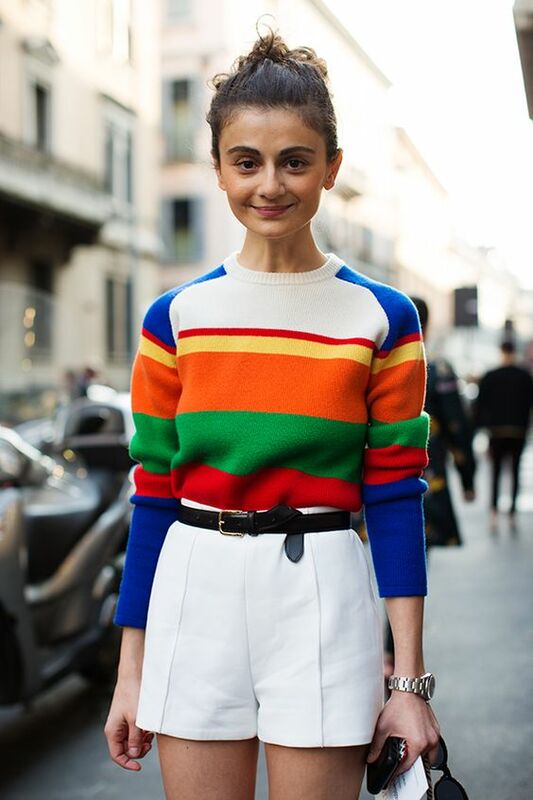 Or with a less neutral color like Alexa Chung because as everyone knows, all of the colors of the rainbow together equal white ^^ Look at me dealing with this here. If you do not feel completely confident you can start with just a bit of rainbow. Just like Alix with her rainbow matching accessories. 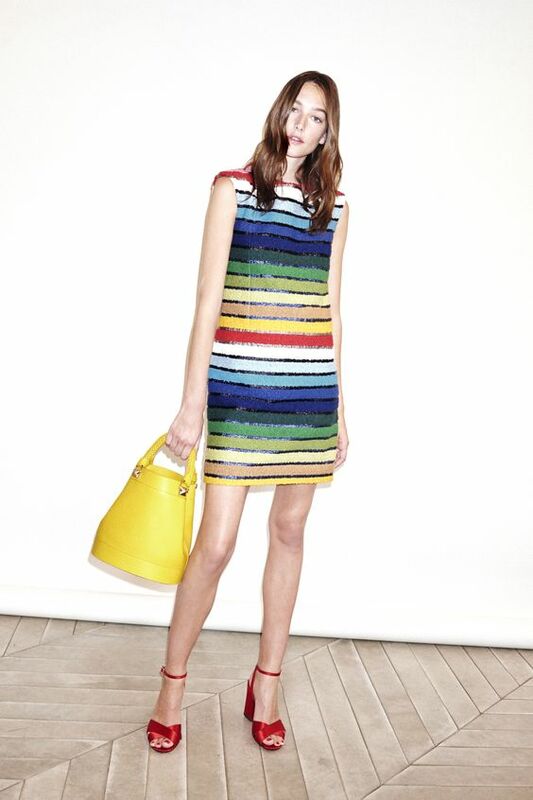 Works very well with a third color as seen in the 2010 Rykiel show. Which can be a neutral or not. In the last Rykiel lookbook, socks match both the sandals and the lining of the navy blue coat. 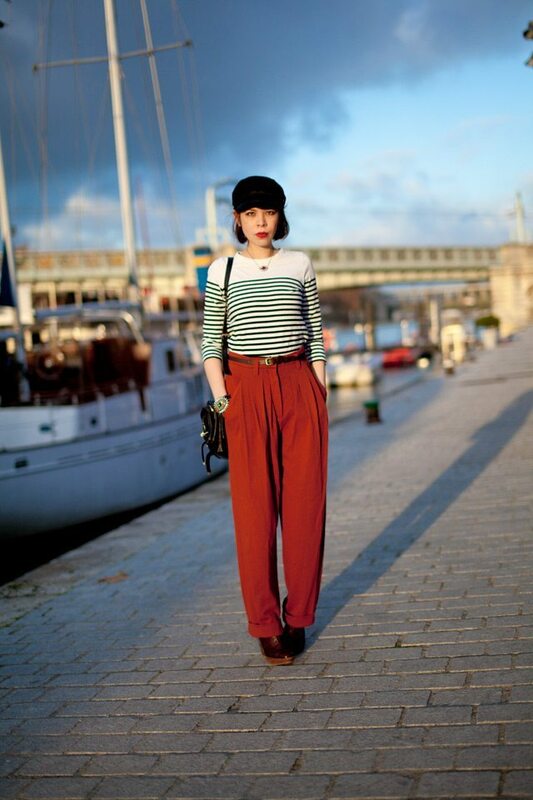 The iconic breton striped top has inspired many designers. 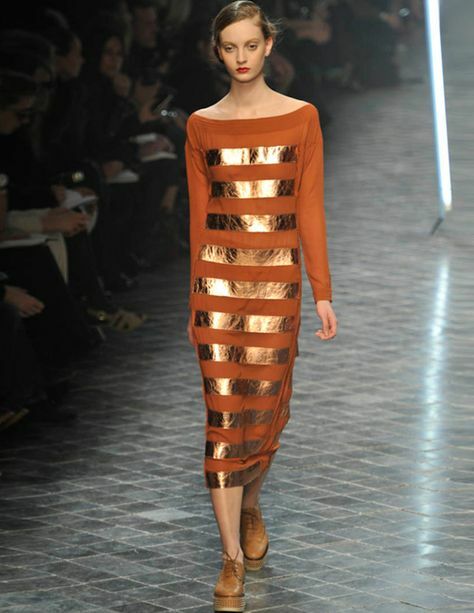 Here Sonia Rykiel added a third color: silver! When chosen in black and white or navy and black, the breton stripes match… pretty much everything! A plain color for instance. Or with this cute duckling shade. Or in this outfit where I had mixed peacock blue sequins, brown tartan and leopard with my breton top (yes, all of that). Which can be the same color. But not necessarily. 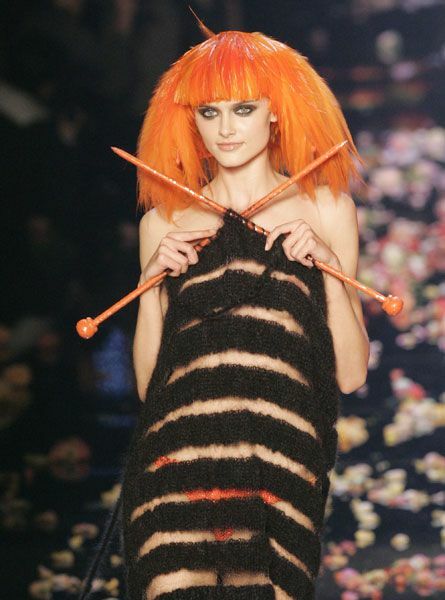 Very see-through stripes and all the codes from Rykiel (the hair, the striped, the knit) in this catwalk look. And you? 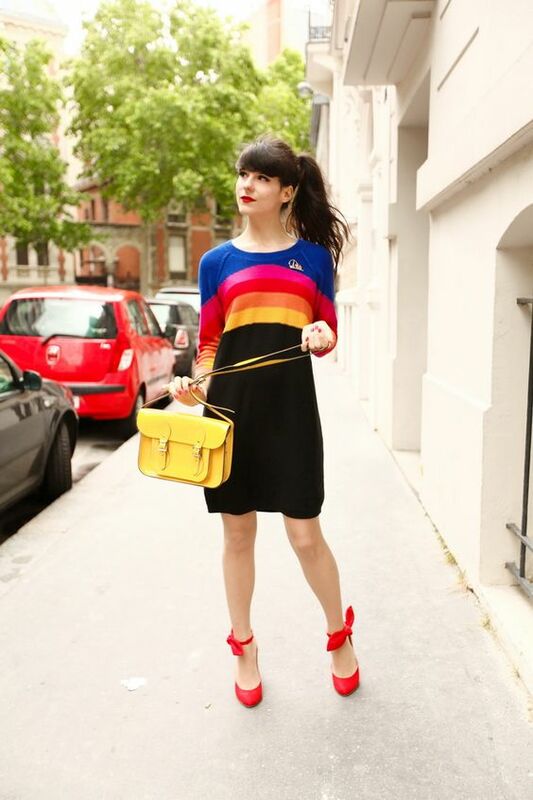 Do you feel like “une femme Rykiel”? Hope you’re well, in good health and cheer. I’m quite a new reader, think I jumped onto the bandwagon last month or so. I love, love, love your blog. You’re just so organized and detailed with your look makers that the images just feel like a bonus. I’m here to make a request. Actually, three. Hope it ain’t much. Could you please do posts on how to dress like Audrey Hepburn (putting together classics and me but better kind of make-up), Marilyn Monroe (I dress to go home with you after a date), and Veronica lake (femme-fatale from the 40s)? I am going through a phase where I want to mimic such icons and look like myself.